My Mac has been acting strange for the past few days, and my brother told me that there must be a virus behind it. I don’t know if I should believe him or not because I don’t think Mac gets viruses like Windows do. Anyway, I hope you can help me remove the virus from Mac. Hi there! Mac can get viruses just like Windows. They can cause your Mac to run slow, so you should get rid of them. There are different ways to do that. Read up to learn about them. We also have the perfect software to make the job easier for you. Part 1. How Can You Tell If Your Mac Has Viruses? Powerful protection is built within Mac’s system. It runs in the background without you noticing it, but it’s there. Two programs make that possible. The first is Gatekeeper, which prevents you from opening any malicious app on your Mac. The second is Xprotect, which automatically scans downloaded files and checks for viruses. Both are very effective in keeping viruses and malware at bay before they can even start to spread. These programs make virus and malware attack on Mac very rare. Of course, there are still malware and virus creators that target Mac users and a small fraction gets past Apple’s antivirus protocols. Viruses can get to your Mac in various ways. It can come in the form of a malicious software or malware. You could have downloaded a software that appears legitimate, but things are not always what they seem. A virus may also get to your Mac with a downloaded file like an image or document. Installing a fake update of an app can also have the same effect. Some viruses and malware are more dangerous than others. There are those that even steal data, for example, your credit card information and login credentials. This is why viruses require immediate action. Your Mac has been running slower than usual, and this happens every time you use it. You see apps and software you didn’t even install. Ads appear on your desktop. In case you notice them happening on your Mac, don’t simply Google for an antivirus software for Mac and install whatever comes up first. That may be a malware in disguise. Instead, follow our guide on how to effectively remove viruses from your Mac. We’ll also teach you how to prevent a virus attack from happening again. Since viruses most often come from what we download, it makes a lot of sense to get rid of everything in the Download folder. Drag them to Trash and press Empty Trash to permanently delete those files. Get rid of browser extensions. Launch Safari and click on Safari from the menu bar. Check the list of extensions and look for any extensions that seem malicious. To delete an extension, select on it and hit Uninstall. Open Chrome, click on the menu and press Preferences. At the top right corner of the window, you will see a three-dotted icon. Click on it. You will see a list of extensions on your Mac. Select one or more that you want to delete and click Remove. Run Firefox and select Tools from the menu bar. Press Extensions and simply select any extensions that you want to delete and hit Remove. For your convenience, you can also use iMyMac-Cleaner Browser Cleanup to delete any unwanted browser extensions. What should you do with an app that you think is actually malware? Well, the obvious solution is to uninstall it. 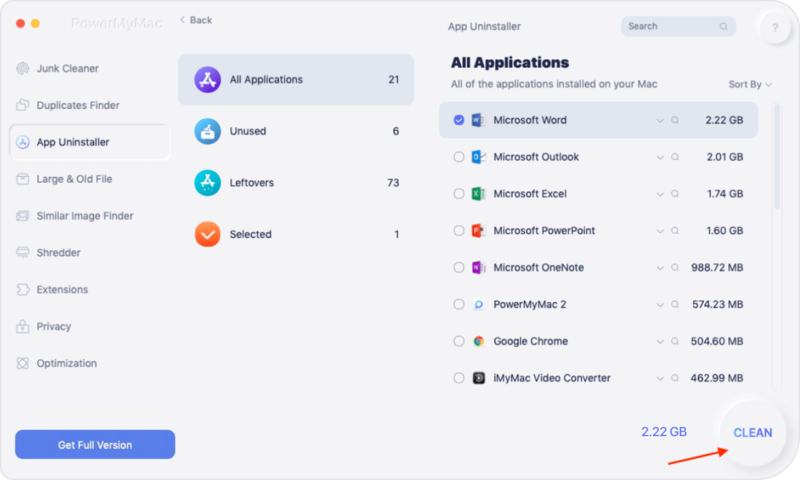 Here’s how you would normally uninstall apps from Mac. Open the Applications folder and look for the app in question. Drag it to Trash. Open a Finder window and click on the ~/Library folder to look for any related files of the app. Open the other folders under the ~/Library folder as well. That’s not the only way to uninstall software on your Mac, though. We suggest using iMyMac-Cleaner Uninstaller, which offers a simpler way to get rid of any unwanted software. You can learn more about this tool in Part 3 of this post. If deleting files or uninstalling apps isn’t enough, using an antivirus tool may just do the trick. There is much reliable software out there, some free and some paid. It is up to you if you’re willing to shell out money for your Mac’s security. As much as possible, stick with software from reputable developers. Some malware can disguise as an antivirus and instead of fixing your problem, they can make it even worse. Do your research first and read reviews before downloading an antivirus. If the above solutions didn’t work for you, the next option is to reset your Mac and restore it with a backup. Whether you use Time Machine or other tools to perform a backup, the backup must have been done before the time your Mac got infected. If you restore a newly-made backup, you risk infecting your Mac again. That defeats the whole purpose of resetting your computer. To restore a backup via Time Machine, follow the steps below. Plug in the drive that you have used to create your Time Machine backup. Restart your Mac and hold the Command and R buttons together until the Apple logo appears. The macOS Utilities will appear. From the list of options, select Restore from a Time Machine Backup. Hit Continue. You may also reinstall macOS, but you should consider this your last resort. Doing this step would erase everything on your Mac. That includes your apps and files. Refer to this guide from Apple if you still want to proceed with this method. It isn’t that easy to uninstall apps on Mac. Dragging the unwanted app to Trash won’t cut it. You have to delete the app’s support files, some of them hidden, along with the app itself. You will have to look for them in different folders, which can be confusing and time-consuming. Using iMyMac-Cleaner Mac Uninstaller can save your time and effort. You’ll see a step-by-step guide on how to use the software below. Download iMyMac-Cleaner and wait for the installation to complete. Run the program and choose Mac Uninstaller from the left tab. Step 2: Allow the software to scan your Mac’s apps. Click the Scan button below the Trash icon. The program will start to look for your Mac’s installed apps. Step 3: Select apps to uninstall. When the scan is complete, you will see a list of your Mac’s apps on the left side of the window. You will see the app’s name, size, and storage location. If you click on an app, you will see its related files. Select the apps that you suspect to be malware. To do that, tick the box next to the said app. Hit Clean. Press Confirm to proceed. Now that you have gotten rid of the viruses on your Mac, you must do your part to keep your Mac virus-free. Do not download and install apps from untrusted sources. The best place to search for apps is still via the Mac App Store. Aside from that, make sure to scan connected flash drives first before you open them or transfer any files. Lastly, install a trusted antivirus tool on your Mac. In the unlikely situation that your Mac gets infected again, make sure to use iMyMac Cleaner and Uninstaller to help you get rid of viruses and malware ASAP.